Bradley County Sheriff Eric Watson, right, and Chief Deputy Brian Smith address county commissioners concerning a proposal to create an animal control team of four deputies. 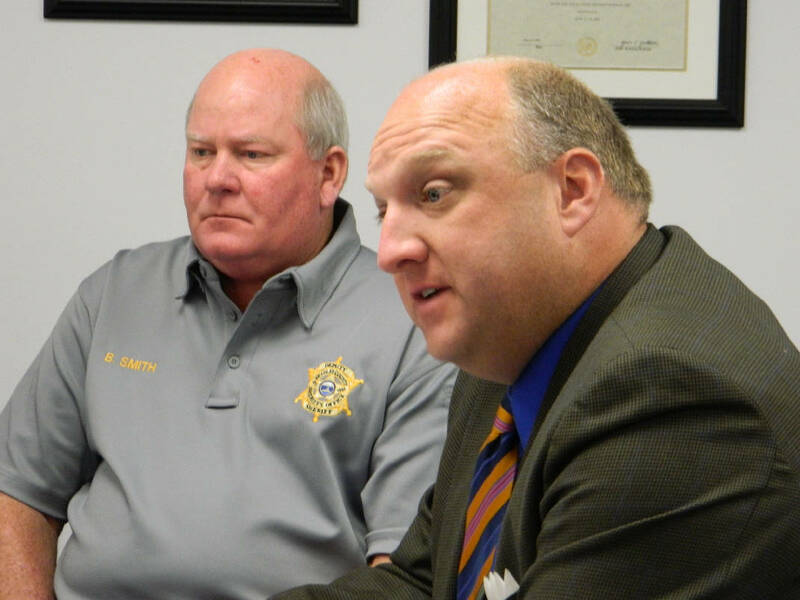 Read the Bradley County Sheriff's Office announcement of the resignations of Chief Deputy Brian Smith and Arnold Botts, director of human resources. Two more top leaders in the Bradley County Sheriff's Office have resigned. Chief Deputy Brian Smith and Arnold Botts, director of human resources, turned in their gear Sunday night, Smith told the Times Free Press. Both were brought on to the department's command staff when Eric Watson took office in September 2014. They are leaving less than three weeks after Steve Lawson, captain over the Criminal Investigations Division, quit to launch his own campaign for the sheriff's post. Smith didn't give a specific reason for leaving in a copy of his resignation letter shared with the Times Free Press, dated today. He said his resignation was effective immediately but he would be available by phone if his replacement needs anything. 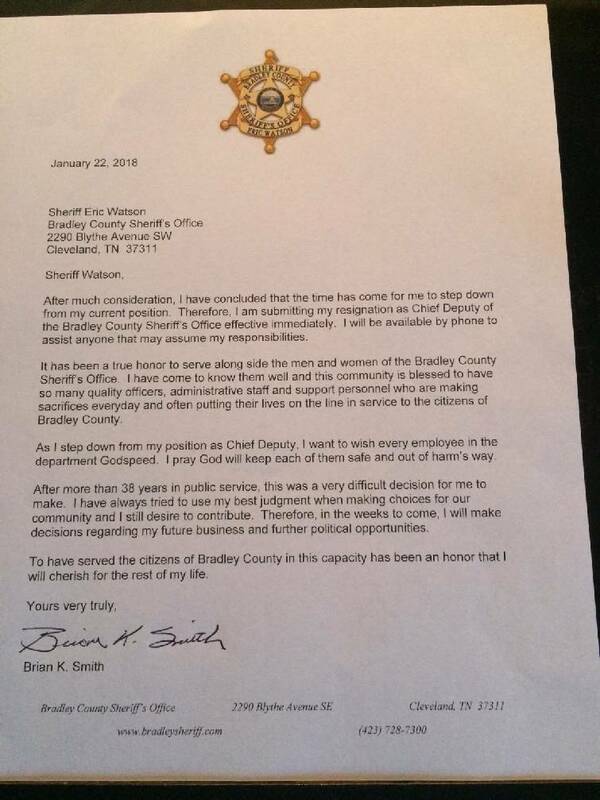 Chief Deputy Brian Smith's resignation letter is shown. "After more than 38 years in public service, this was a very difficult decision for me to make," he wrote in his resignation letter to Watson. "I have always tried to use my best judgment when making choices for our community and I still desire to contribute. Therefore, in the weeks to come, I will make decisions regarding my future business and further political opportunities." He added, "It has been a true honor to serve along side the men and women of the Bradley County Sheriff's Office. I have come to know them well and this community is blessed to have so many quality officers, administrative staff and support personnel who are making sacrifices everyday and often putting their lives on the line in service to the citizens of Bradley County." Smith told the Times Free Press he and Botts had told Watson on Friday they were leaving the department. Botts could not immediately be reached for comment Sunday. Asked for comment Sunday night, Watson said by email: "Bradley County Sheriff's Office is fortunate to have had public servants as talented and as dedicated as Chief Smith and Director Botts. While I will miss their counsel, I wish them and their families the very best. They are among the most respected leaders at the sheriff's office regarding professionalism and accountability. I want to wish them the best in their future endeavors." Watson is seeking re-election as sheriff, having weathered more than two years of investigations related to allegations of financial and personal misconduct. Investigations by the state comptroller's office and the Tennessee Bureau of Investigations have produced no charges of wrongdoing. And a special prosecutor last week dismissed 12 felony charges against Watson related to the use of forged automobile titles in his side business selling used cars. The departures come a day after Lawson launched a campaign kickoff rally at Cleveland High School where four previous sheriffs — Jim Ruth, Tim Gobble, Dan Gilley and Robert Lawson — stood beside him in support of his campaign. Robert Lawson is Steve Lawson's uncle. This leaves only two members of Watson's original command staff still in place: Capt. Gabe Thomas, who is over the jail, and Capt. Keith Edwards, who joined the department as captain of patrol and now is in charge of court services. 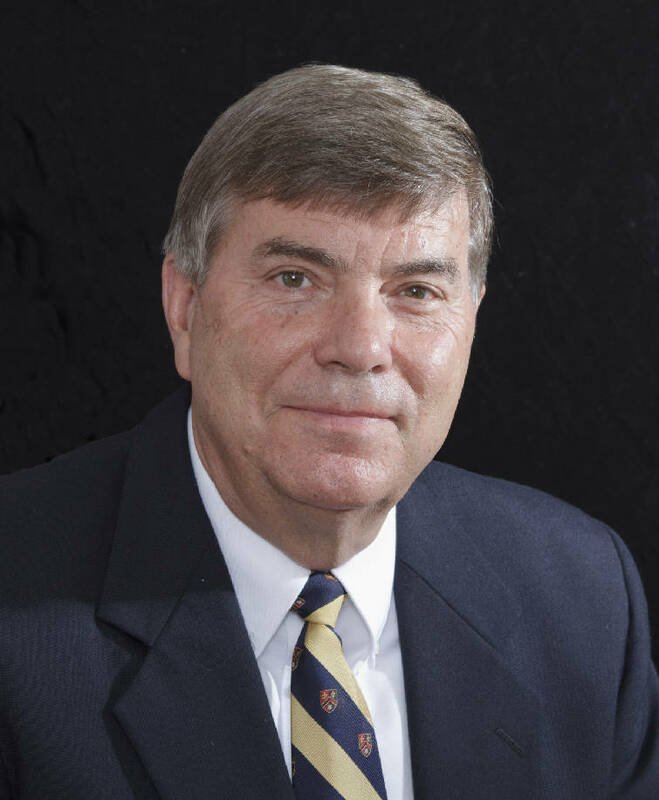 Richard McAllister, Watson's original director of support services, was reassigned in 2016. This story was updated Jan. 21, 2018, at 10:47 p.m. with more information.